Acid activated methyl-chloride based paint remover. Designed to remove epoxies, polyurethanes, industrial and household paints from timber, metal, or masonry surfaces. ..
Thickened potassium hydroxide based paint remover. Designed to remove alkyd and oil-based paints. Application is by airless spraying or brushing. Formulated to react and dissolve the coating. ..
ALUMIBRITE 6 is a liquid, acid based immersion cleaner for aluminium substrates. It effectively removes drawing lubricants and aluminium oxide corrosion allowing the surface to be further pretreated or painted. CONCENTRATION - 20-120 litres per 1000 litres-2-12% TEMPERATURE - 15 - 30°C IMMERSION ..
A liquid chemical used in the yellow chromating pre-treatment of aluminium and alloys prior to liquid painting or powder coating. Alumigold 20 litre container also comes with 2L Alumigold Accelerator. Dangerous Goods Surcharge Applies ..
A hot tank, alkaline paint stripper designed to strip polyester powder coatings, gum resins, and fatty acid based coatings from steel, brass, copper and magnesium. 25kg Bag Supercedes Classique Strip 620. Dangerous Goods Surcharge Applies. ..
Classique Strip AS-3 is an acid activated stripper containing phenol/cresol that will remove epoxy and polyester powdercoatings, and virtually all coatings depending on substrate including aluminium. 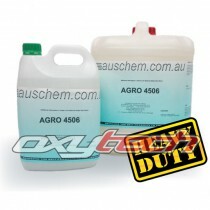 Dangerous Goods Surcharge Applies ..
A dual acting cleaner and iron phosphate which can be used in 2 stage machines without rust blushing problems. 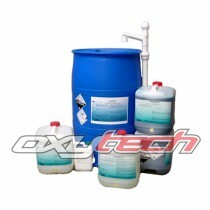 Duophos simultaneously cleans and phosphates steel, zinc and aluminium surfaces. 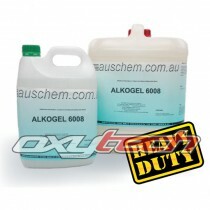 Dangerous Goods Surcharge Applies ..
Viscous, alkaline solvent based paint remover. Designed to remove polyurethane, lacquers, enamels and acrylics from metal, brick and masonry surfaces. 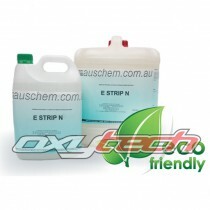 E Strip N contains no methyl chloride, phenols, chromates, heavy metals or chlorinated solvents. .. Concentrated, sodium and phosphate free, general purpose detergent. Designed as a very environmentally safe low foaming detergent, ideal for pressure washing car parks, buildings and other cleaning applications, including washing machines on septic tank systems. ..